Yet as eye-opening as it all was for the Simon Fraser junior, her role as the training partner for Clan teammate and Canadian team standout Danielle Lappage cast her in the role of an understudy. Now, as a new quadrennial begins, the Velte is setting her sights on becoming a leading lady oh her own by the time the Tokyo Olympics roll around in 2020. Match by match, the Sacramento native who ventured north to study under the tutelage of legendary Clan head coach Mike Jones, has climbed in grappling pedigree, and this weekend Velte will look to put another notch in her wrestling belt when she returns to the Women’s Collegiate Wresting Association Championships (WCWA) in Oklahoma City as a defending champion. “Going to the Olympics was a great experience,” said Velte on Tuesday, noting that former Clan star Helen Maroulis, who in Rio became the first U.S. woman to win a gold medal in freestyle wrestling, also previously served an Olympic Games apprenticeship as a training partner. For the uninitiated, training partners endure all of the physical toll of practices and more, because with their own ego left on the sidelines, they must tailor their physicality to only those areas which benefit the actual competitor. Try the title character in the movie Rudy, who takes a beating as a scout team middle linebacker to help the Fighting Irish get ready for their next game. Yup, a real character builder, not that Velte has been shy of collecting a series of incredible results over the past couple of years which have her steeled and ready to make her big push on the international stage. Last February, she won her first WCWA national title at 143 pounds, helping the Clan to third place in the team standings and punching her own ticket to the U.S. Olympic Trials. 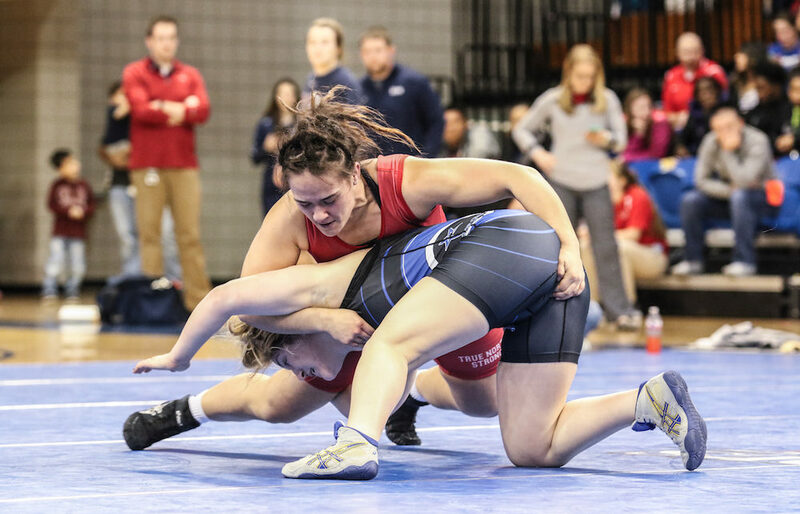 In late March, she finished first at 63 kilos at the USA Women’s University Nationals. 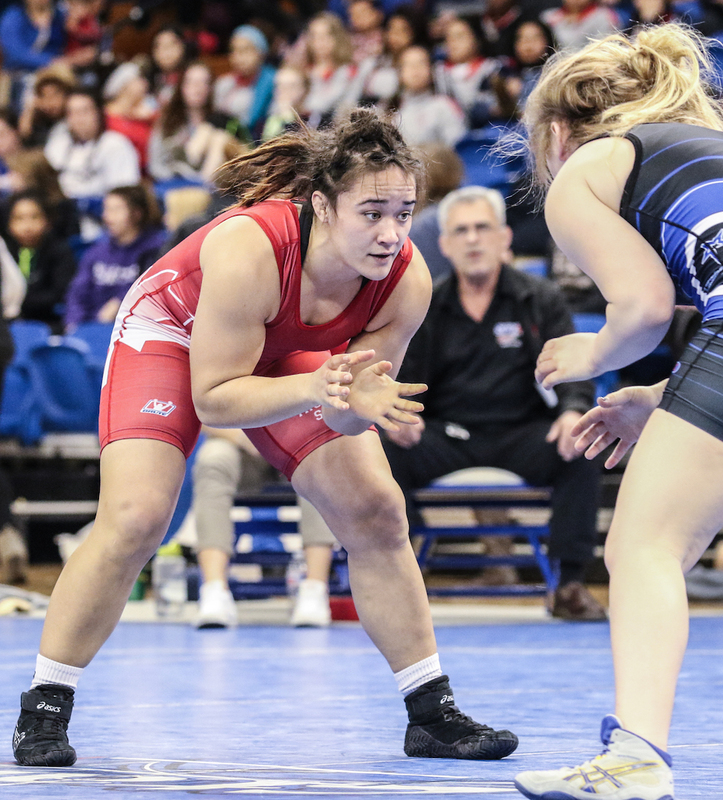 And in April, Velte finished third at those U.S. Olympic Trials (63 kilos), missing out on a spot to the Olympics but showing that she is on track for an even stronger showing in 2020. And a sidenote to her experience in Rio? But things are unfolding well enough that Velte isn’t complaining about a thing. 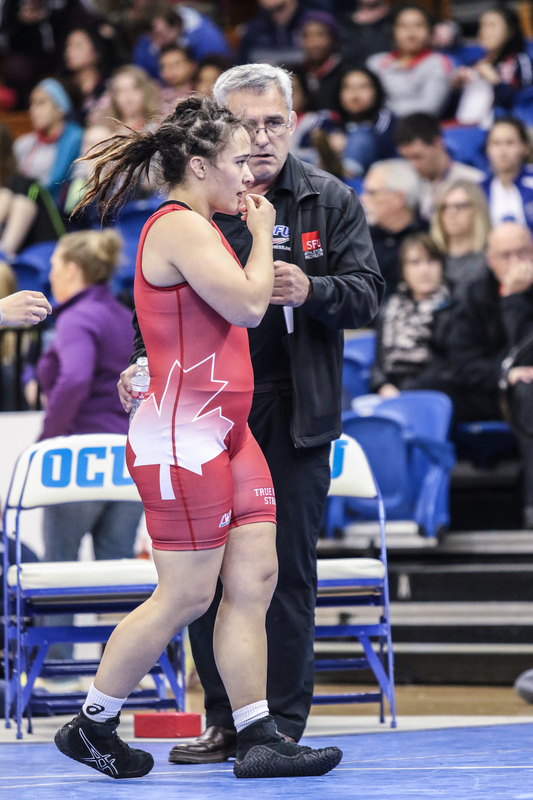 Simon Fraser’s global reputation as a blue-chip collegiate wrestling power has only been enhanced by the fact that both Carol Huynh and Maroulis have gone on to win Olympic wrestling gold as Clan alumna. And it is precisely that which drew Velte north to Burnaby Mountain. Velte, one of the few members of the U.S. senior national team still in university, somehow balances her heavy academic course load with monthly trips to compete and train with her national team, often times at the national training center in Colorado Springs. This weekend, at the WCWA nationals, she is the favourite at 143 pounds, and another gold medal there would continue to represent the steps she is taking to try to become the best in the world. From understudy to leading lady. It’s the path that Mallory Velte is determined to walk.